Commission for Northern Spark 2012, MCAD Minneapolis Minnesota. 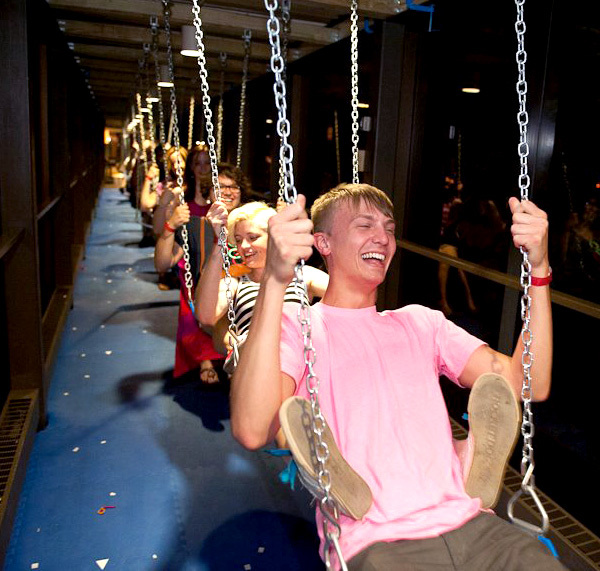 The solitary sensation of swinging takes on a new dimension in Keetra Dean Dixon’s collective, high in the sky, swing installation in the skywalk on the MCAD campus. For a full, even swing, all swingers must be in sync. Out of pace swinging results in playful collision.